Childersburg, AL - Hannah Mae Wilson, 99, was born to the parentage of the late John Henry Stone and Mary Magolene Woods Stone on January 23, 1919, in Talladega Springs, Alabama. Ms. Wilson was baptized at an early age at Friendship Baptist Church, Talladega Springs, AL. Where she organized the first choir, she served as Sunday School teacher for over twenty years, and worked in missions. Upon moving to Childersburg, AL she united with Tallassahatchie Baptist Church, under the leadership of Rev. Fredrick Jemison. She joined the mission society, and loved attending Sunday School and BTU until her health decline. On November 20, 2018 Ms. Hannah Mae Wilson departed this walk of life at home surrounded by hospice care and daughter. 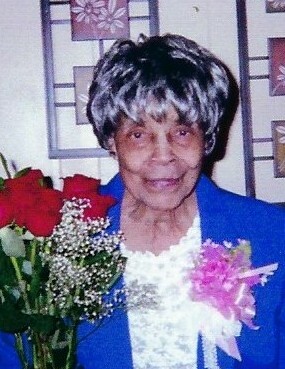 She leaves to cherish her memories, a loving daughter, Margaret Embry of Childersburg, AL; two grandchildren, Francina and Angela Wilson; God-grandson, Chris Davis; great grandchildren, Jessica, Jonathan and Jordan Wilson; God-great grandchild, Nebria Davis; one brother in law, Lewis (Daisy) Wilson; two sister in laws, Bernice Beryer, and Evelyn Wilson; and a host of nieces, nephews, other relatives, church family and friends.